TOP > News & Event List > Nearly 1,500 Visited to Mobile Clinic for Operation Only in 7 Months! 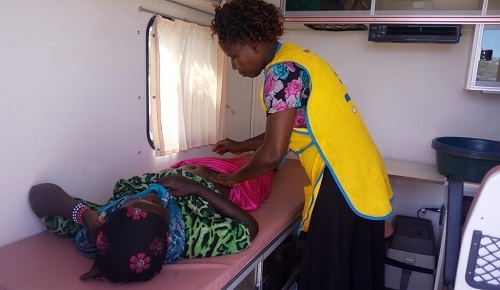 Nearly 1,500 Visited to Mobile Clinic for Operation Only in 7 Months! 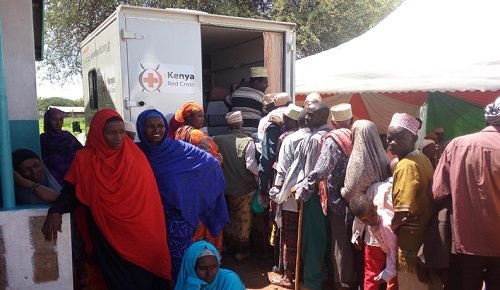 Since delivered at Kenya Red Cross (KRCS) last August, Mobile Clinic has been busy in operation delivering medical services for those live in hard-to-reach areas. It took only 7 months (from August last year to February, 2017) for the Mobile Clinic to have nearly 1,000 visitors at medical rounds in Garba Tula. Together with visitors at other activities than Garba Tula, the number of patients has been close to 1,500 already. Mobile Clinic is highly welcome by beneficiaries or village people wherever it goes and gives medical rounds. They praise the high quality of fabrication and user-friendly functions. Most importantly, it is well received because it secures the privacy. For medical examination including pre/post-natal checkup, HIV inspection & consultation, the confidentiality and privacy protection is highly necessary in order for patients to feel fully secured and relaxed to receive treatment. This news is truly rewarding to us. 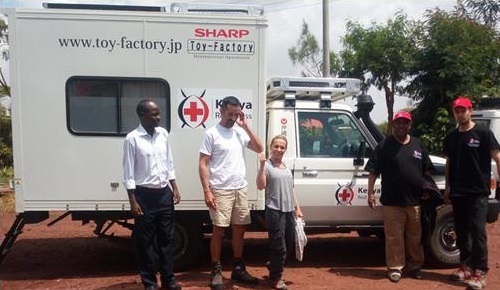 We hope it helps deliver the medical care to more of those in need. – At “Medical Rounds in Garba Tula,” KRCS & team provide medical care to 975 patients. – Co-organized “Medical Camp in Kinna” that they provided 500 patients including breast cancer screening for 140 females. – Joined at “World Aids Day in Isiolo” where they conducted HIV inspection and counseling to 14 individuals. Members of medical outreach. At reconstructive medical camp taken place on February 2017, members from Pedro Cavadas Foundation were also joined for collaboration. A scene from medical rounds in Kinna, Garba Tula. People making a long que for examination. A scene from prenatal check-up. For medical services including HIV/AIDS inspection, protection of privacy and dignity of patient is highly important. Mobile Clinic, providing a private environment, is fondly welcome by the locals.